Oh boy, McAfee…not a fancy topic to start with on my first post on this site, but since anti-virus softwares are so common (for us PC owners, at least), I thought I’d share my experiences with the nonsense of this anti-virus software. I’m a PC guy. I like Windows and I love Windows 7. Who doesn’t? Sure, it has so many flaws, but that’s what it gets for being so popular, right? As a Windows user, I must download all these security programs just so I can have some piece of mind to enjoy the wonderful world of the web. If you don’t have some security on your computer, then you’re just crazy. My internet service provider is pretty generous for providing us with free internet security. It which features everything a security suit would: a firewall, network security, anti-virus, anti-spyware, anti-adware, and all that other good stuff. All in one package?? Sweet deal! Problem is, it’s powered by McAfee. Slow. Very slow process. AT&T Yahoo! (my ISP) also makes it painfully difficult to find the software to download. Speaking of Yahoo!, don’t you find it annoying that on your account settings at Yahoo!, it asks for your password over and over again? I’ve had the software for 3 or 4 years. The software would update once or twice a day, and that was very, very annoying. Each installed update would lag my PC horribly for a few seconds. If I had a virtual machine, Photoshop or a video editing software, McAfee’s update would pretty much freeze the entire computer for over two whole minutes. Two! On one occasion I even remember turning off the computer from the physical power button since the computer completely froze on me! I had to change the update settings to only download the updates but to let me install them on demand. Nope, no white list for unknown files. If McAfee thinks that something may be harmful, then by all means it must be! Do its customers have any say on that? Nope. But to be fair, there is a section of quarantined items where we can recover our stuff. However…it’s rather pointless. McAfee would soon after notice the un-quarantined items and quarantine them back again. Actually, I do like Site Advisor. The only problem I have is that it’s rather paranoid. There’s a lot of false positives where I can’t visit some sites peacefully (that I know are safe) because good ol’ McAfee kept interrupting me with warnings. But the great thing is that it shows these little icons on search engine results that help you determine if a site is safe, unsafe, neutral or untested. Scanning the whole drive for viruses also meant leaving my computer on without having to using it. 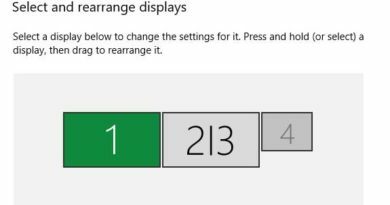 The PC would be practically unusable because of the lag and it would take a fourth of a day (up to half a day) of scanning. Thank god for Nintendo, though, because even watching videos was annoying while McAfee would do its thing. This is the main reason I just had to uninstall McAfee for good. For the past two weeks, my firewall would turn off for no good reason. Every time it did that, the internet was inaccessible (save for AIM, go figure). I would have to go to the firewall settings and turn it back on. Few minutes later, d�j� vu. Watching movies on Hulu was not fun. Hulu is supported by in-between commercial ads that load separately from what you’re watching. Right before an ad, the firewall would turn off, and Hulu would immediately accuse me of blocking ads. I thought about asking technical support to help me out, but I then remembered that they’re pretty much useless. On one occassion, I had this tech guy even remotely control my PC. He messed up with a special Windows file in the end because he couldn’t fix the problem. And of course, he wasn’t able to fix the problem by “fixing” the Windows file either. He just told me to reinstall McAfee all over again, as if that was fun and fast. As I had mentioned earlier, I had McAfee with me for a couple of years. Besides its nonsense and problems, it honestly kept me safe all the way. And trust me, I use the internet…a lot. I also surf traffic exchanges and use safe lists, which means I have even surfed thousands of web pages a day. To top it all off, I didn’t even use sandbox technology! 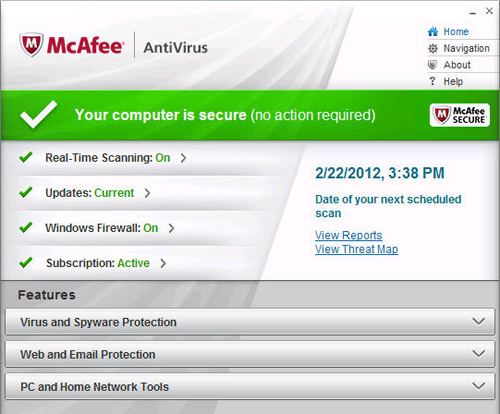 So really, I do think that McAfee is great for keeping us safe. But besides keeping us safe, it’s horrible for just about everything else. It takes long to install, it uses too many computer resources, it won’t let you white list specific files, it lags you horribly when updating, your computer is practically unusable when scanning, the firewall disconnection problem is common since 2008 (according to other users), it has an awful navigation system…and probably more. I’ve switched to free security software along with Sandboxie. I’ve read really good things about the ones I have installed. However, I never could find an article that could help me find a complete collection of anti-anything so I can make up for all the features that McAfee provided me with. I’m still researching, though, and I will write a post with all the free security software needed for complete protection. And speaking of free, don’t believe that free is bad. They just limit features that can be replaced by other free anti-whatever software from other companies (then there’s Sandboxie and virtual machines for overkill! ).